Thanks to The Cut for alerting us to the return of corduroy — "It's cool again, promise," a headline explains. 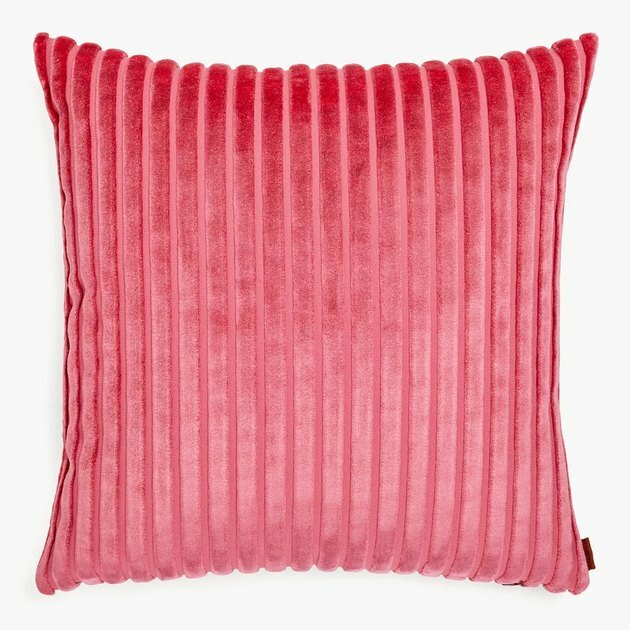 While the soft, textured stripe fabric may be making a comeback in fashion, we checked to see if the same is true for decor. While there's not a ton of corduroy stuff out there, we are seeing evidence — from major retailers like Urban to smaller, Scandi-cool brands — that it might very well be about to explode. 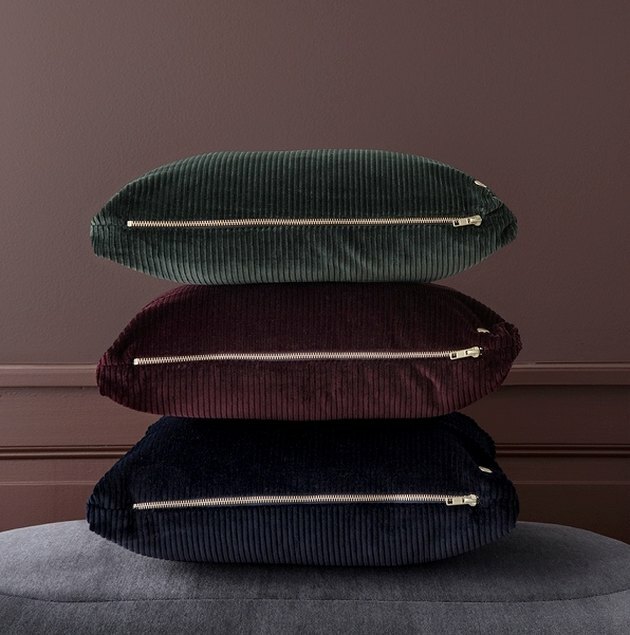 Danish brand Ferm is one we always look to for emerging trends — and while their corduroy cushions aren't super new, they have added a few new colorways recently. 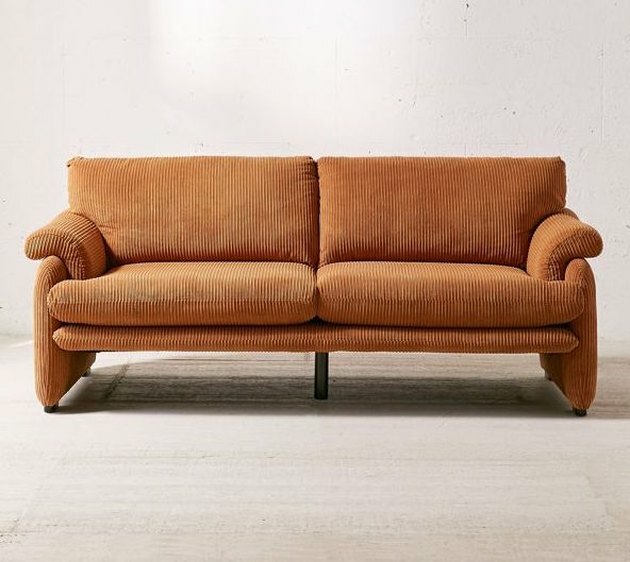 What goes around comes around: This couch looks like it could have belonged in your parents' '70s apartment ... once again proving that you should never throw things away. 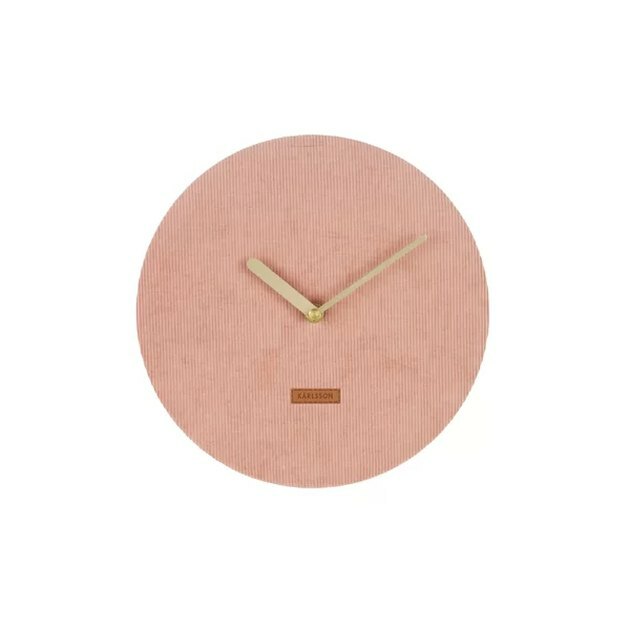 We've never seen a corduroy wall clock before, so this is sure to become a conversation piece. Missoni Home offers a variety of pillows covered in this luxe, extra-wide cord material. PB Teen: Not just for teens, ya know. 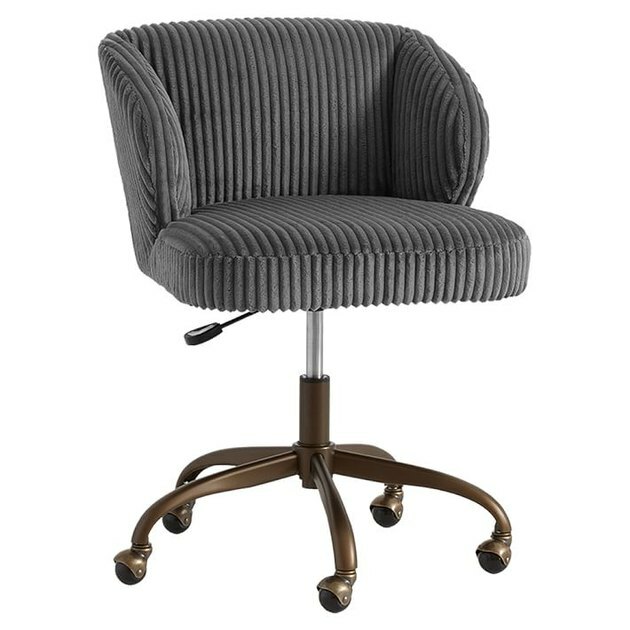 Case in point: This very grown-up desk chair covered in thick corduroy. 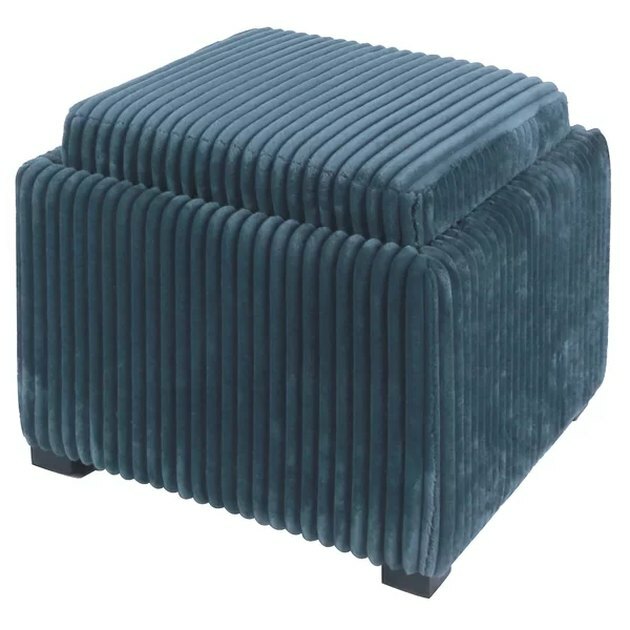 We love the deco vibe on this way-affordable ottoman.